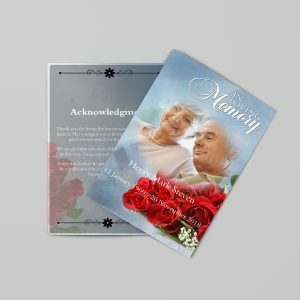 Creating a Self Printable Funeral Program is a challenging task these days, as there are many options available online to choose. Few are Free for use and few are premium to choose. 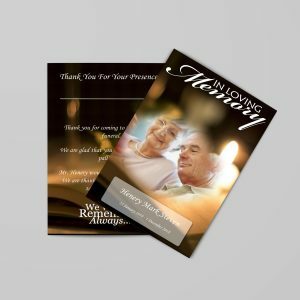 I will show you both way here to create a funeral program online with ZERO Technical Skills, that you can get printed yourself! You can download a word file of free funeral program template from your choice of sites. Many available on Google Search, you can find them. 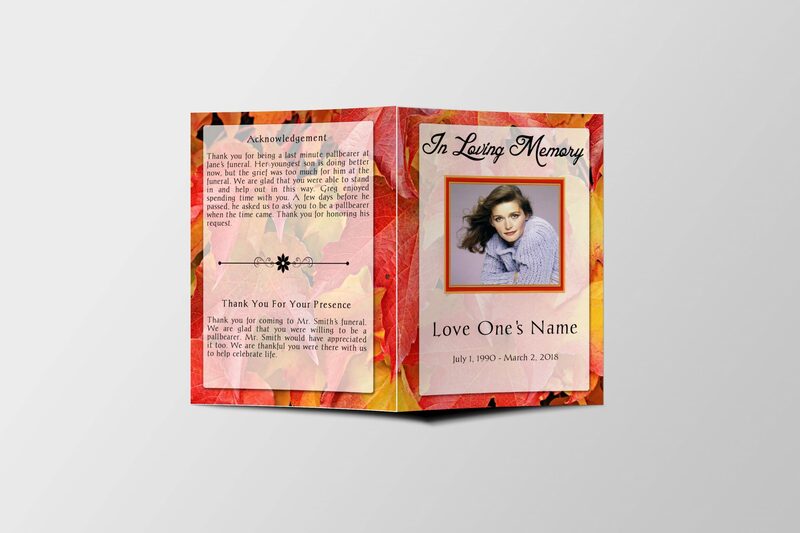 Download a Free Funeral Program Template and open in any Word supporting software to edit. After opening the downloaded free funeral template, you will get generally two pages having two sides on each page. On the first page, you will notice a LEFT SIDE and the RIGHT SIDE. Same two sides will be visible on the second page. This page is for cover, the LEFT SIDE is back cover of the funeral program, and RIGHT SIDE is the front cover of the funeral program. The second page is inside the panel when you will fold it. The LEFT SIDE is inside left side and RIGHT SIDE will inside the right side of the funeral program when you will fold it after printing. Start Editing of Text written on sample funeral program. Start editing the name of person, dates and the funeral service location info and other useful information such as Obituary Text, Funeral Poems and Funeral Acknowledgement Text etc. You may be able to add a photo of loved-one (if your downloaded free funeral program has a section). You can add a photo to the cover to make it more eye-catching. These are few results available on Google when you will search for “online self-editable funeral programs” or “self-editable funeral templates”. Choose a website that offers you to select a funeral template of your choice and provide a way to start editing on the go. Choose your desired funeral template, make sure that website stores your project, so you can continue anytime when you get a free time to resume your editing or when your content for the funeral program is ready. Start Editing your selected funeral template online, add your own information, the life history (AKA Obituary). 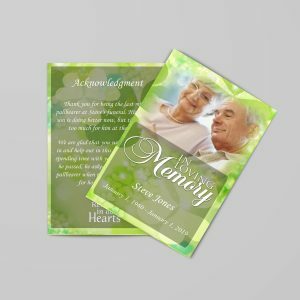 The premium funeral program will have some advanced designed sections to add meaningful contents regarding the funeral service. This online funeral program editing service will offer you to add Photos, having a list of funeral poems and other text templates to quickly add to your program to make it more attractive and more meaningful. When your editing is done, that site may offer you to Download Free Sample to see “How your Funeral Program Looks like”. When you are satisfied with your editing, simply download original HD copy of your work and get ready for self-printing. You can open downloaded PDF of your work to Adobe Reader or similar PDF viewer to start printing. You can use any cardstock paper of your choice to get this printed. You can use your home printer or the printer available to your nearest printing store. Download your template to a familiar place on your hard drive such as the desktop for fast and easy location. Always copy the original template first before editing so you’ll leave the original intact. Remember to save your template frequently and rename it if you have to. Also, have all your pertinent information ready that you will want to include.